This little project is one I almost didn’t do. It’s one of those things that takes a little time and very easy to put off. It wasn’t until I actually bought the yarn that I decided to really try and make it happen. 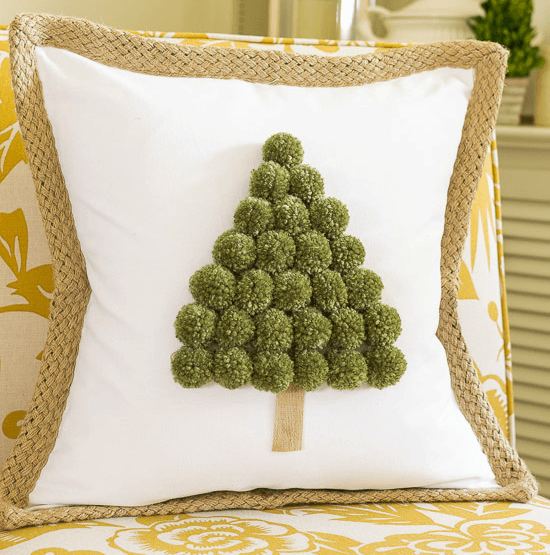 Turns out this little Christmas tree pom pom pillow is one of my all time favorite projects. Ever. The pom poms are what takes the time. Gluing them on the pillow cover took all of five minutes. Here’s an awesome tutorial on how to make the pom poms with a fork. 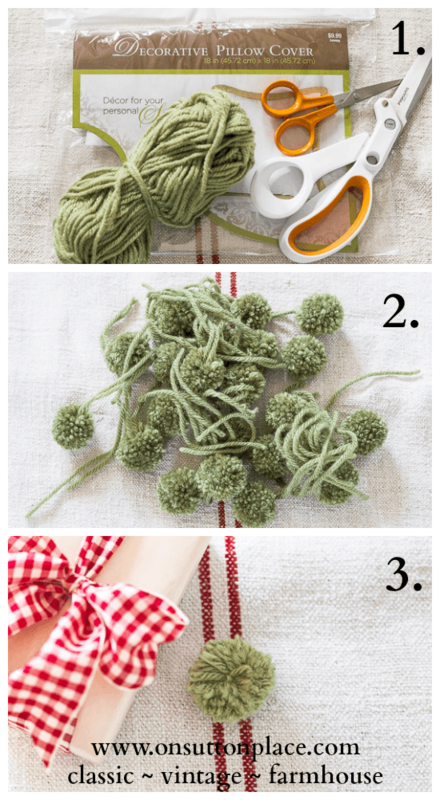 How to Make Mini Yarn Pom Poms. I briefly thought about doing my own tutorial but quickly talked myself out of that. There are a million already out there. Using a fork makes them all the same size and it’s easy peasy. 1.) 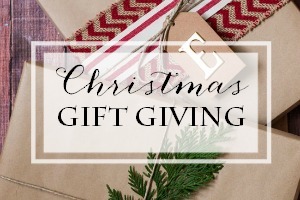 So here’s what you need: A pillow cover, yarn, scissors and ribbon for the tree trunk. One of the reasons I went ahead and tried this out was because I discovered these pillow covers at Hobby Lobby. I was amazed at the selection. The one I chose is a Pottery Barn knock-off but looks pretty dang close to the real thing. It’s 18 x 18 which is the perfect size for an accent pillow. 2.) Make your pom poms. I needed 27. If you use a bigger or smaller pillow cover just adjust that number. 3.) Fire up your hot glue gun. Trim the tie strings off your poms and flatten out the bottom a little bit. You can mark the center of your pillow cover or just eye-ball it like I did. One drop of hot glue is all you need for each pom. When you have them all glued on, add a piece of ribbon for the trunk. I sent this home with my daughter but ended up making one for myself. It’s exactly like this one except my pillow cover is ivory instead of bright white. You can definitely make this project your own by choosing the perfect pillow cover and color of green for your decor. Really…think of the possibilities. They are endless. We are getting blasted with a snow storm but it’s actually sort of fun. As you all know, I love to be at home so that’s where I’m staying today. 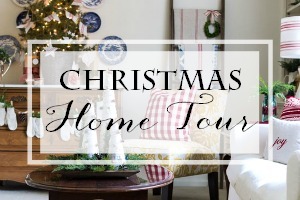 If all goes well, I’ll be back tomorrow with my Christmas Home Tour. Happy Saturday! Oh, I love this! 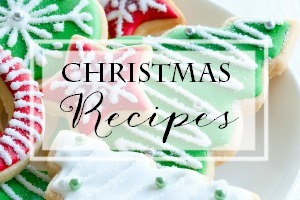 Have been following Miss Mustard Seed for quite a while and she sent me to your site through her blog. Love your things! Simply adorable, Ann. I LOVE it! This is so cute… I have so may pom pons left over after my last project…now I know exactly what I am going to do with them….thanks for sharing! Thank you, Ann! And also Cheryl for the pompom tutorial. I was a Girl Scout but didn’t remember this! I can’t wait to make one for myself…and my daughters. I know as soon as they see how cute this pillow is they will certainly want one! Whyyyyy don’t we have Hobby Lobby in Canada? Your pillow turned out amazingly well. I think it’s all in the perfect green yarn that you chose! Love it, Ann! 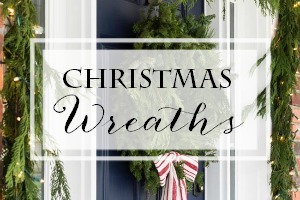 I love the color green yarn that you chose and I think that I will make a wreath. I look forward to your emails….you inspire me. Thanks Ann! I will definitely be in that line if you decide to add these to your shop. This is just darling! I am going to buy everything needed now, and make these in January when I have some free time. We had another snow today, also, but only a few inches–I LOVE being snowed in! This pillow is adorable….thanks for sharing!! Wish we were getting snow instead of rain in Virginia. I used to live in Vermont and loved being snowed in!! It is so cute. I assumed you would have bought the pompoms. Is there a reason you made them or just because you had the wool and were being thrifty? Well done on getting so many projects accomplished. Very cute. Everything you do is wonderful. I wish you had these in your shop! I want a red one ;P This is such a precious project! Thank you! I will think about possibly adding them next year. Right now I’m too pooped to add another thing! GREAT job! I love this. Now I have to go to Hobby Lobby to get some of those covers! Oh, the ideas are spinning in my head. I love using the fork method too — makes consistency of size so easy! If we didn’t have snow. I would be heading to hobby lobby too. This is adorable. How fun and cute I haven’t seen the fork method before. Ann, this is absolutely adorable! I have a white PB pillow cover and this is exactly what I’m going to do!!! 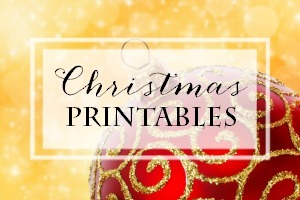 What a fun, festive and easy way to add some Christmas sass to my home… and of course your’s too! Great tutorial! This is sooo cute. 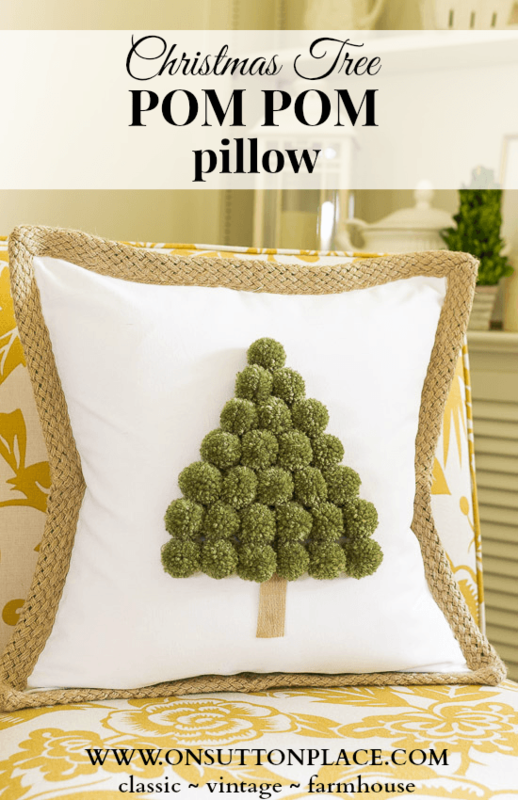 Love the pillow you chose and the shade of green for the pompoms. Have a great weekend. Ann this is the cutest pillow I have ever seen! This is really cute! 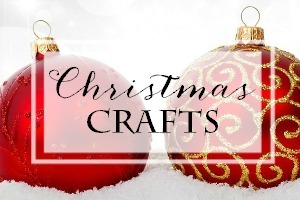 I’d love to make one – thanks for sharing! Love it! Seems pretty simple, my kind of craft! We are also getting lots of snow at the moment but I’d love to run to Hobby Lobby for a pillow cover!